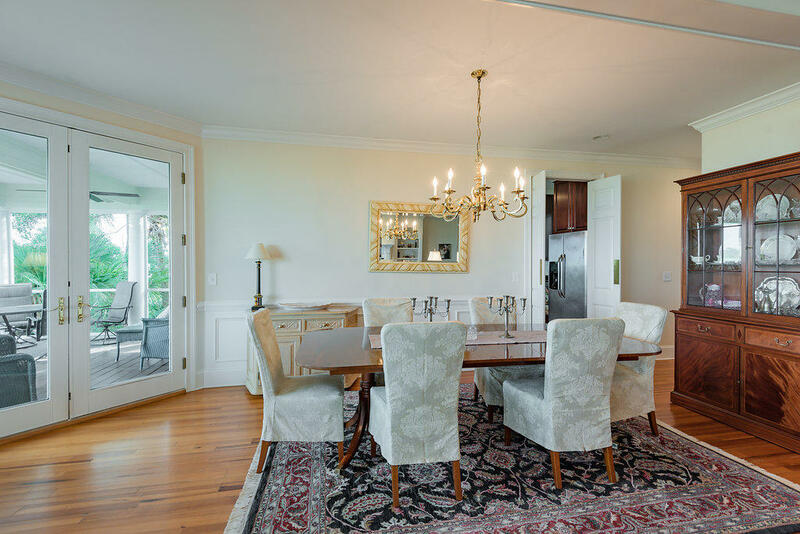 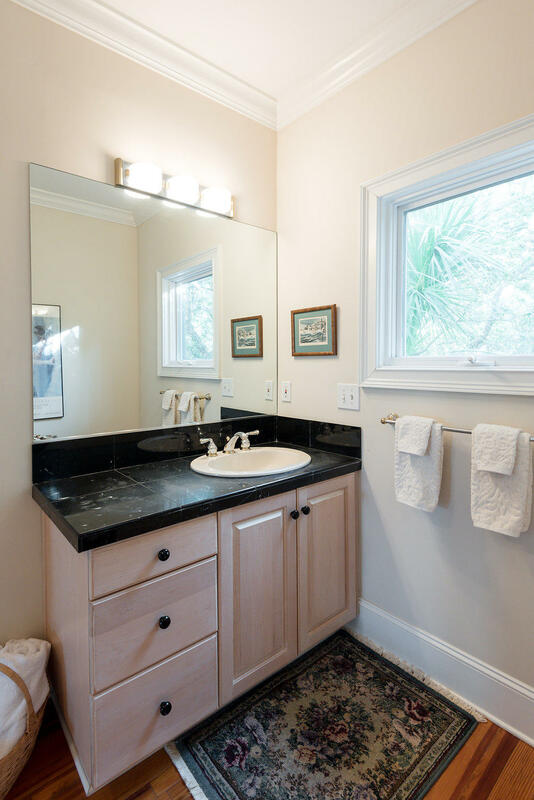 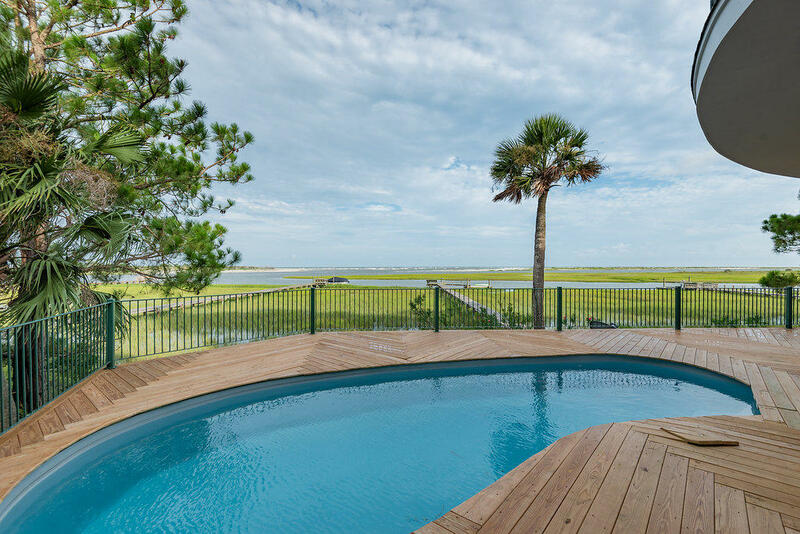 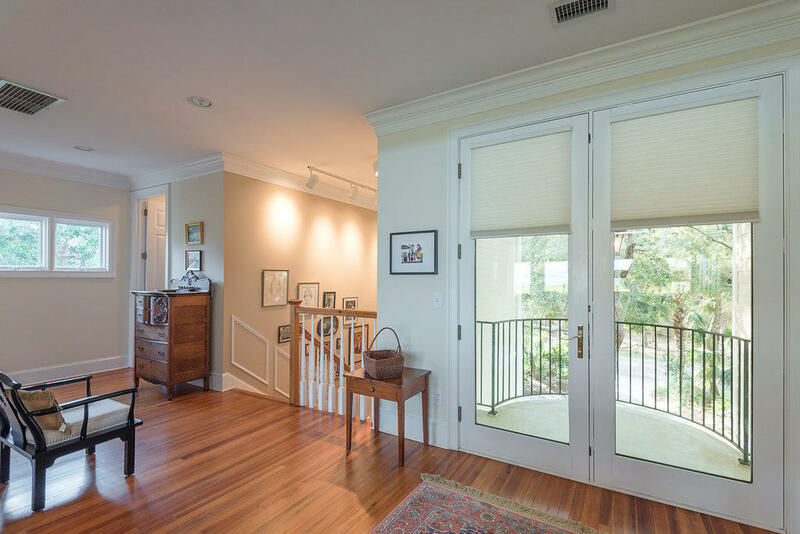 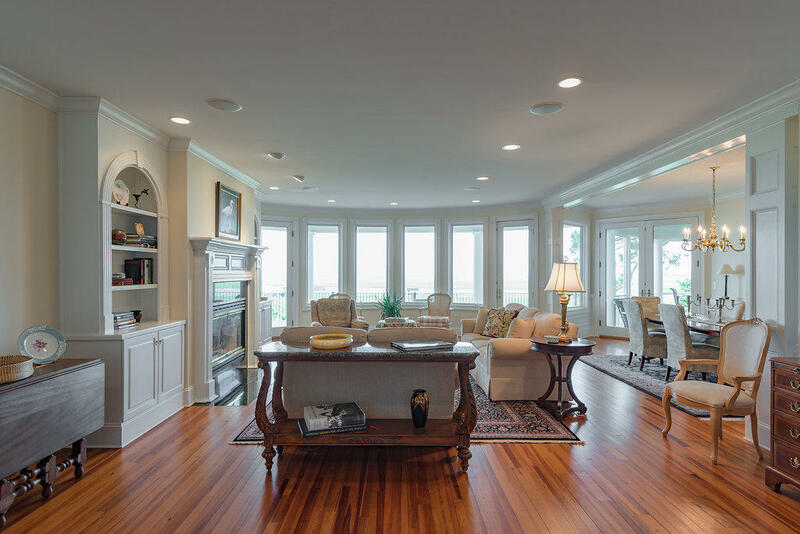 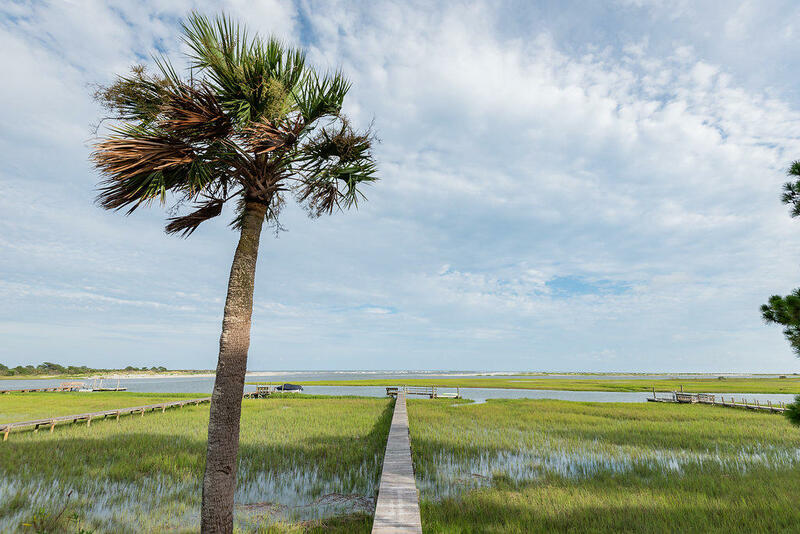 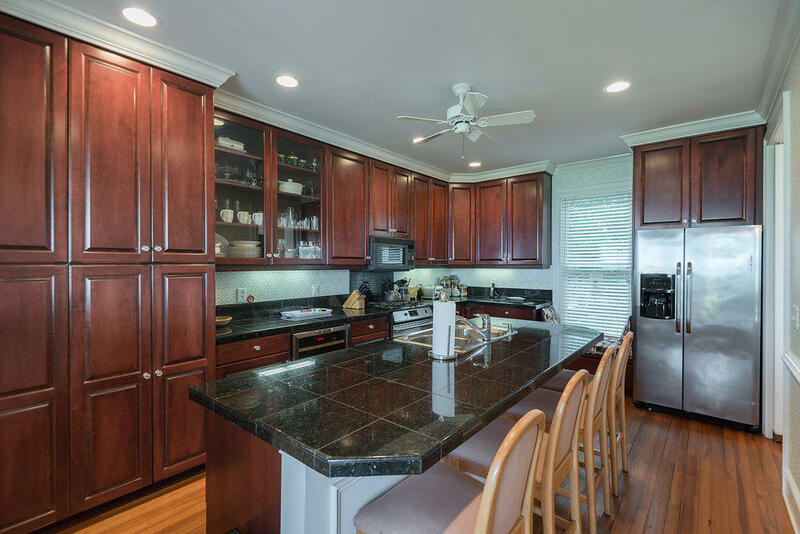 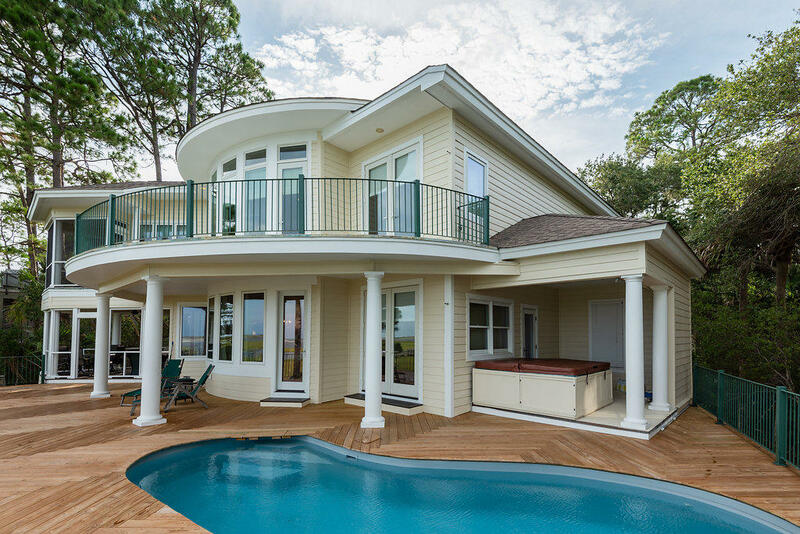 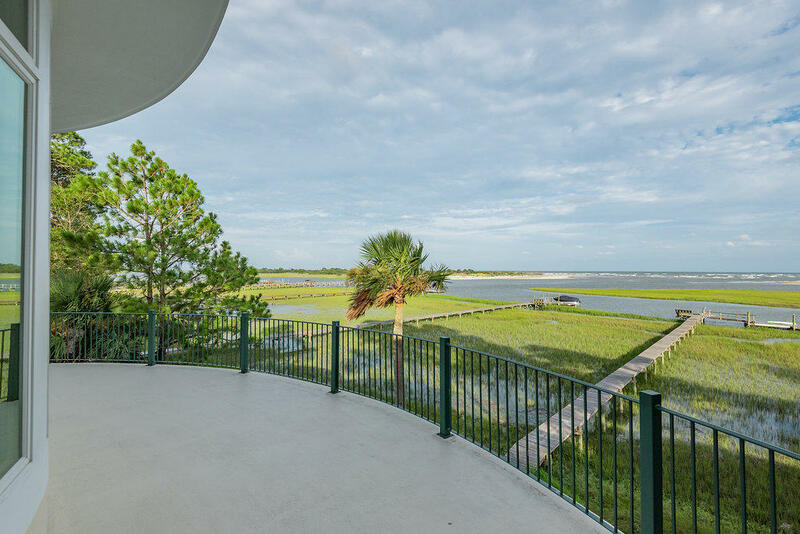 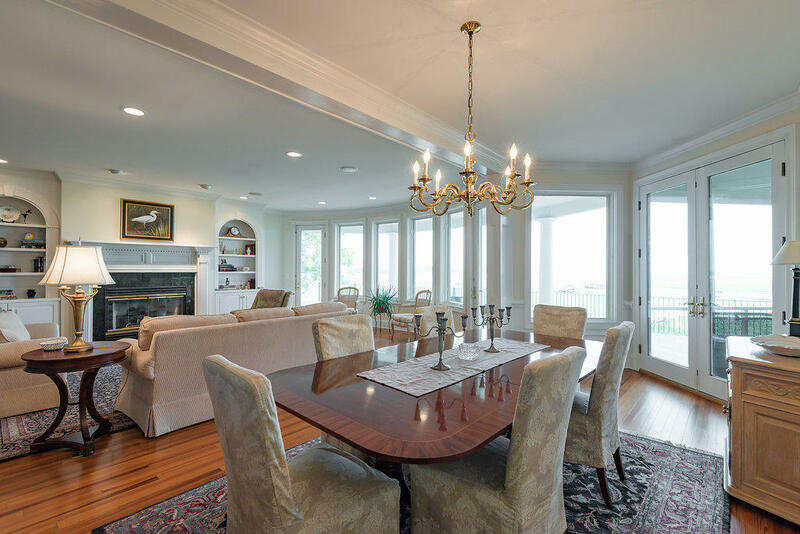 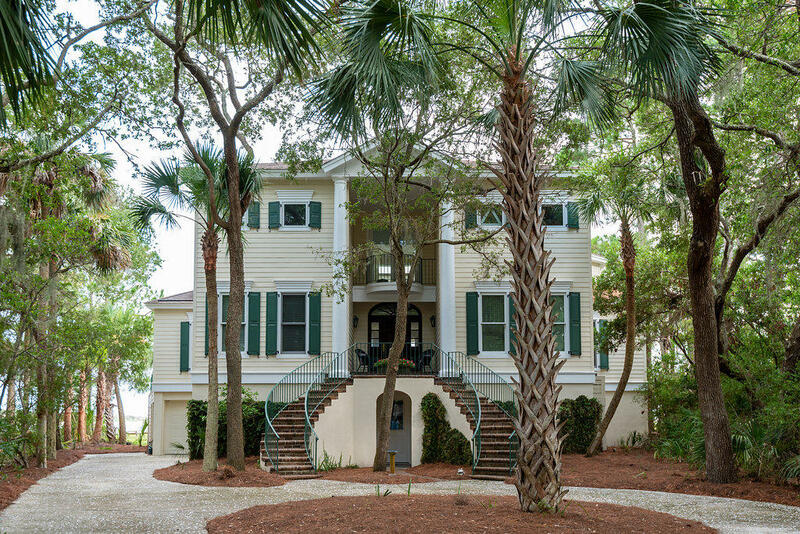 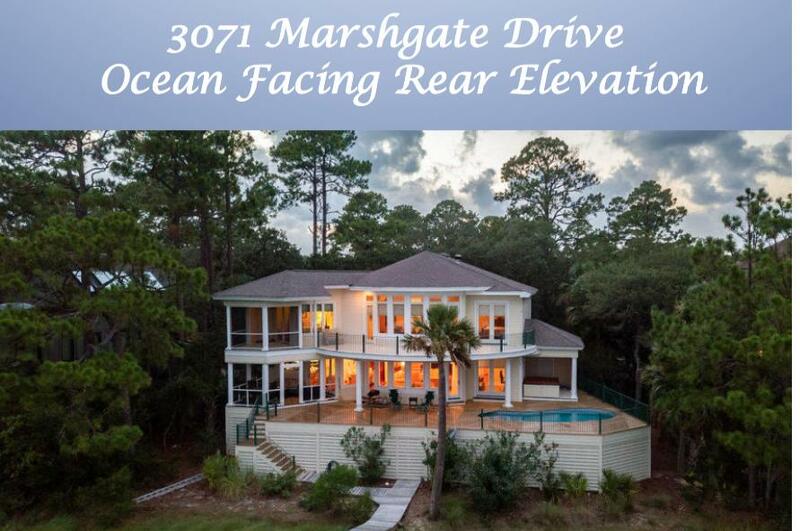 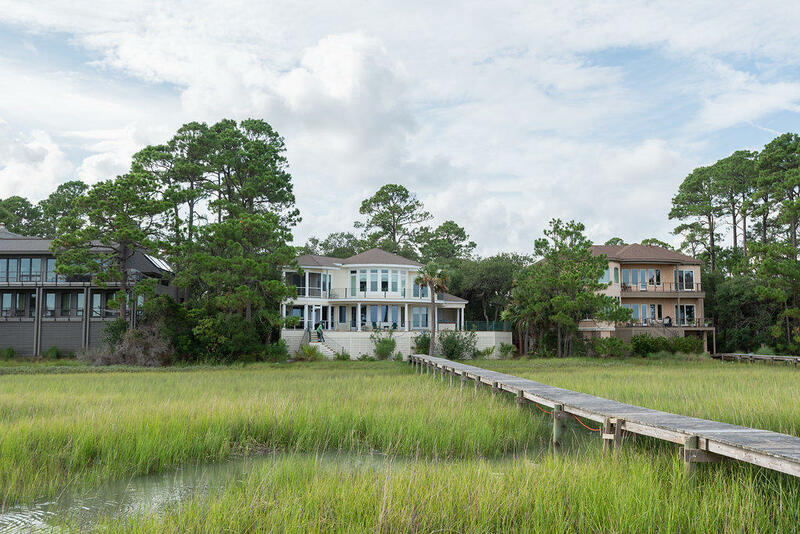 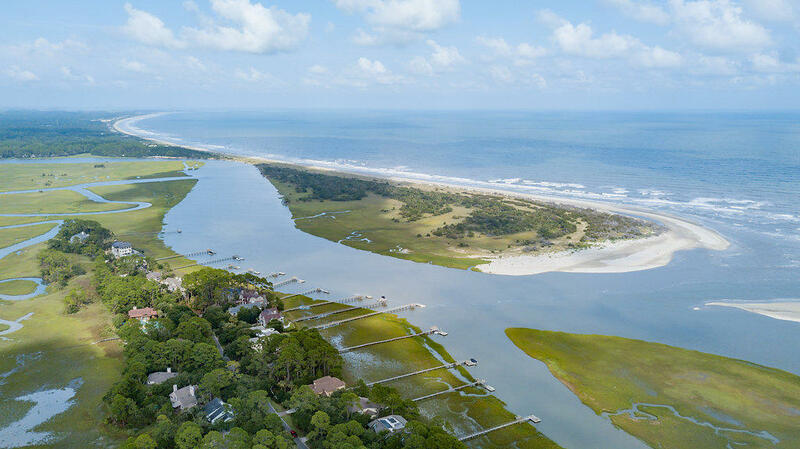 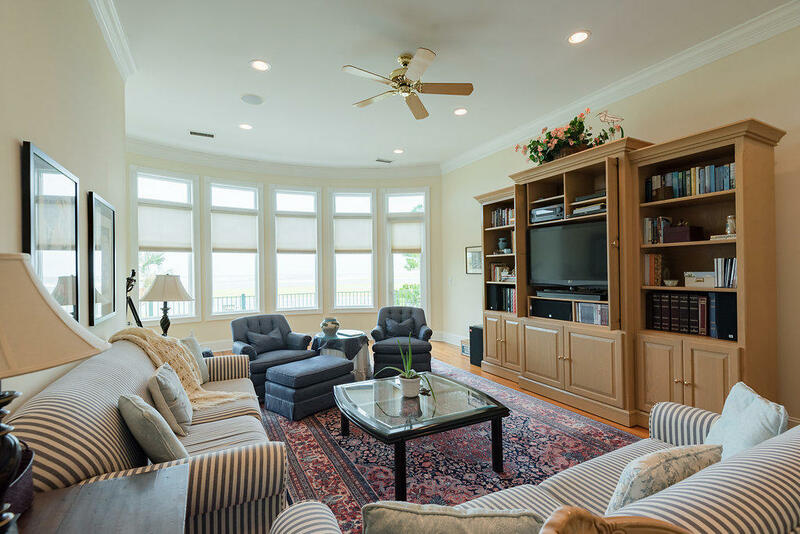 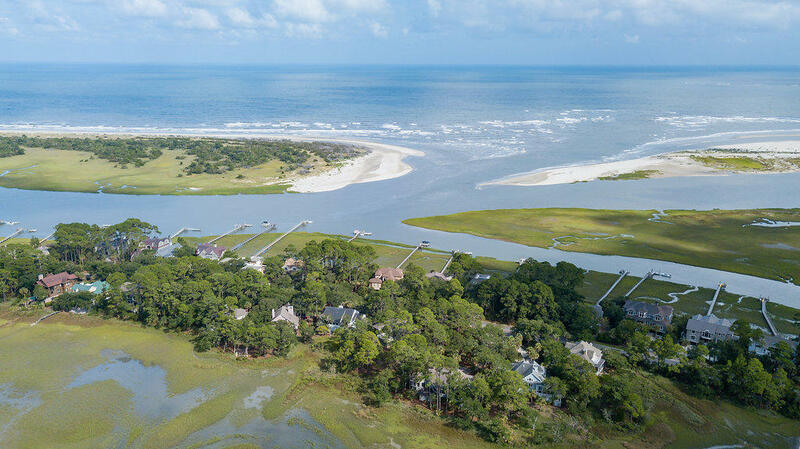 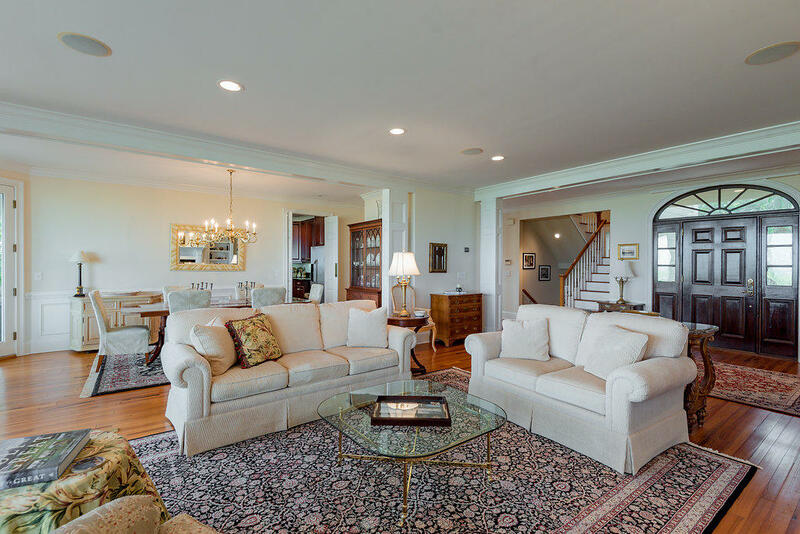 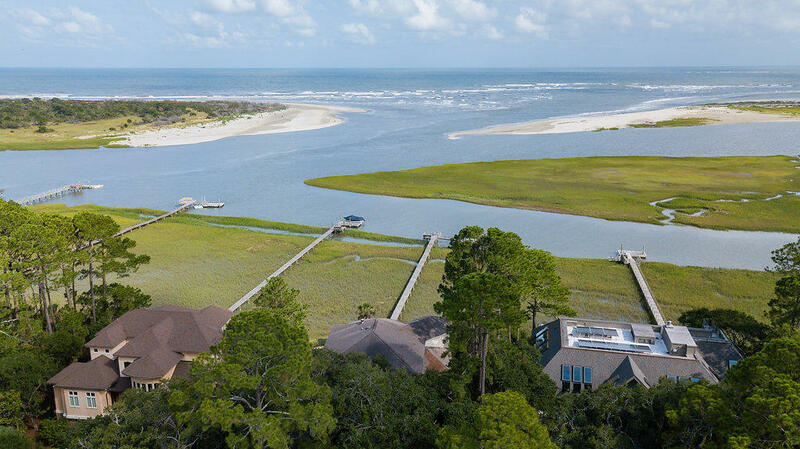 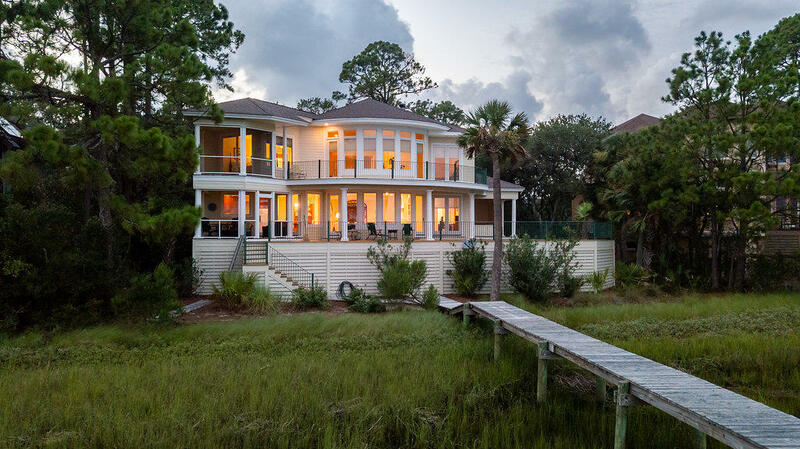 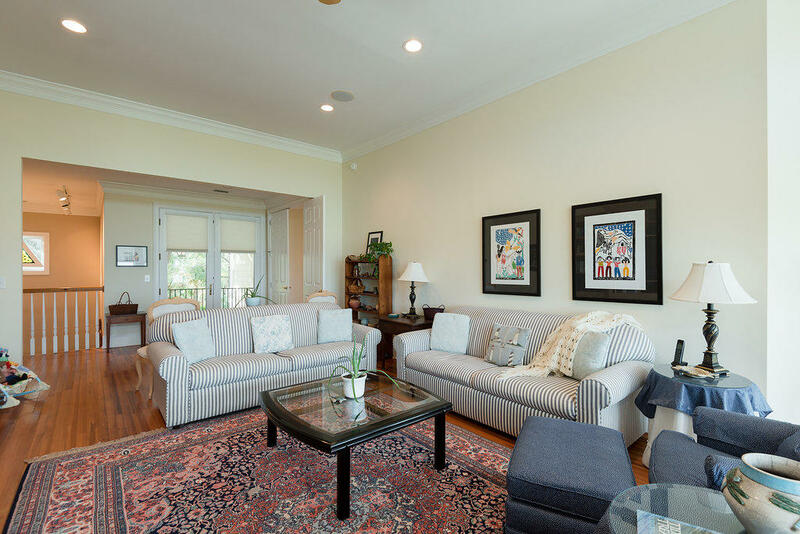 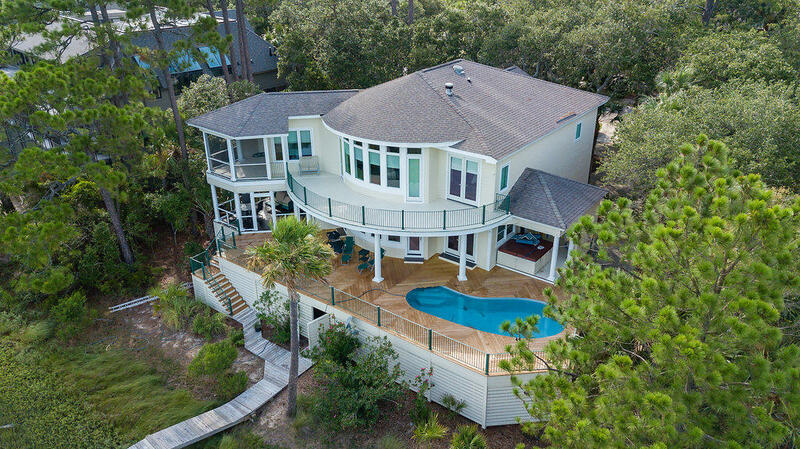 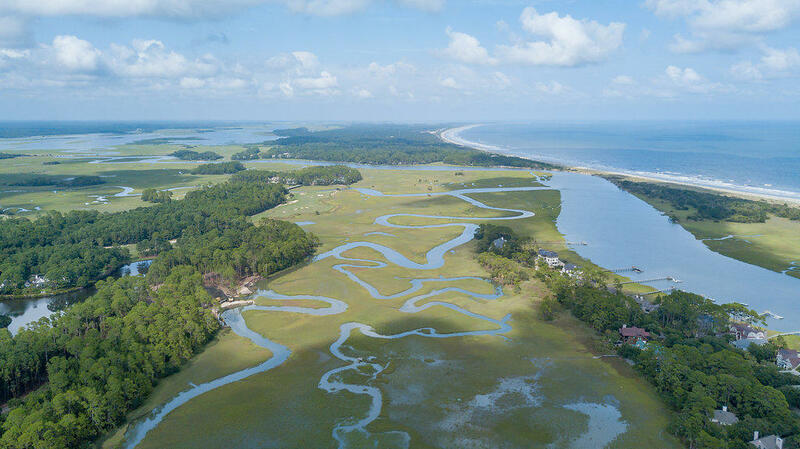 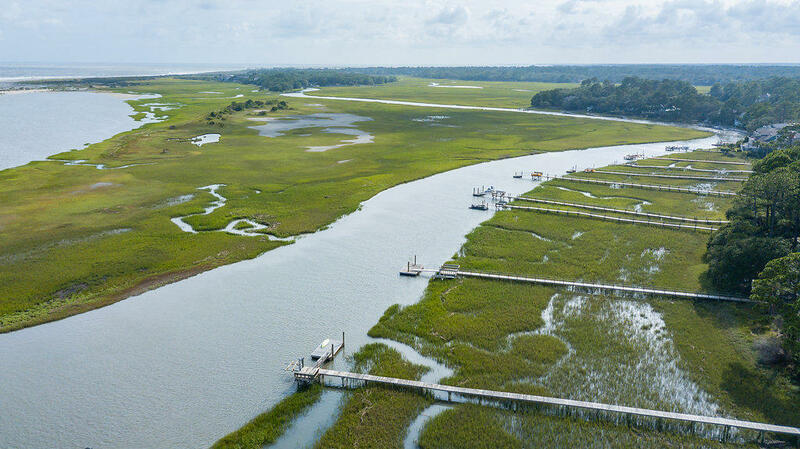 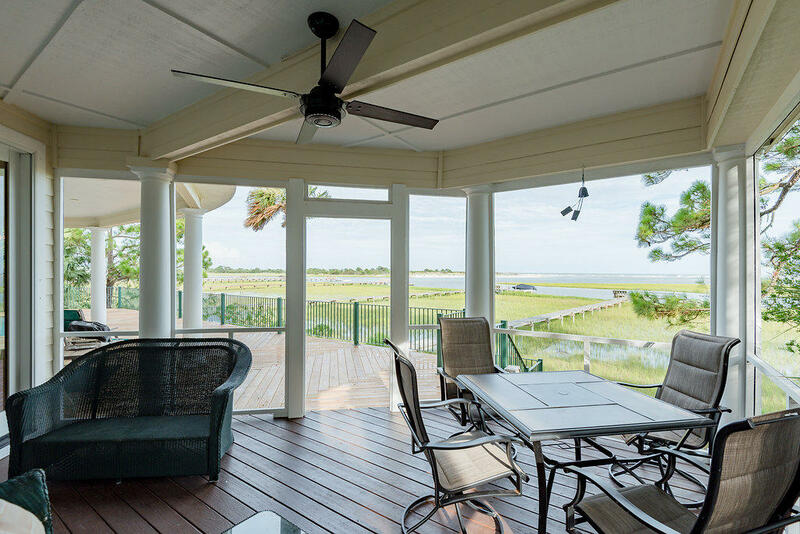 3071 Marshgate Drive is located on not only one of the most prestigious streets of Seabrook Island, but all of Charleston and the barrier islands. 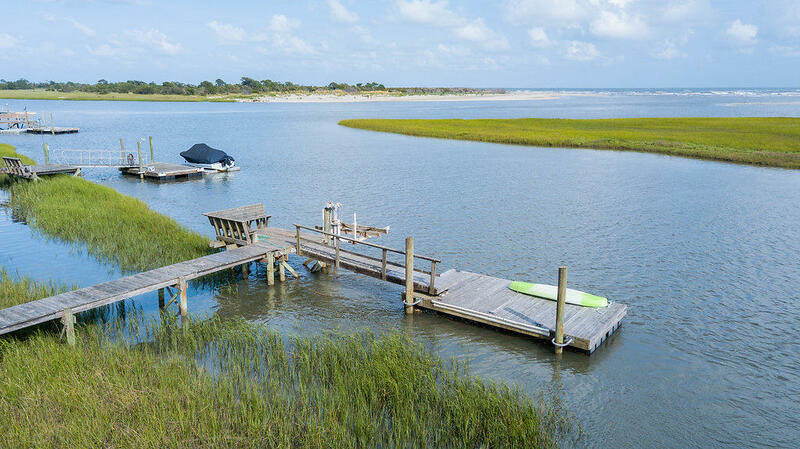 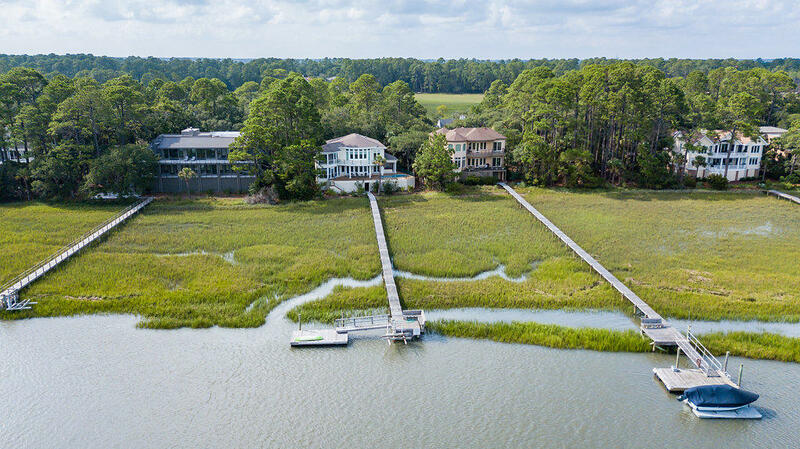 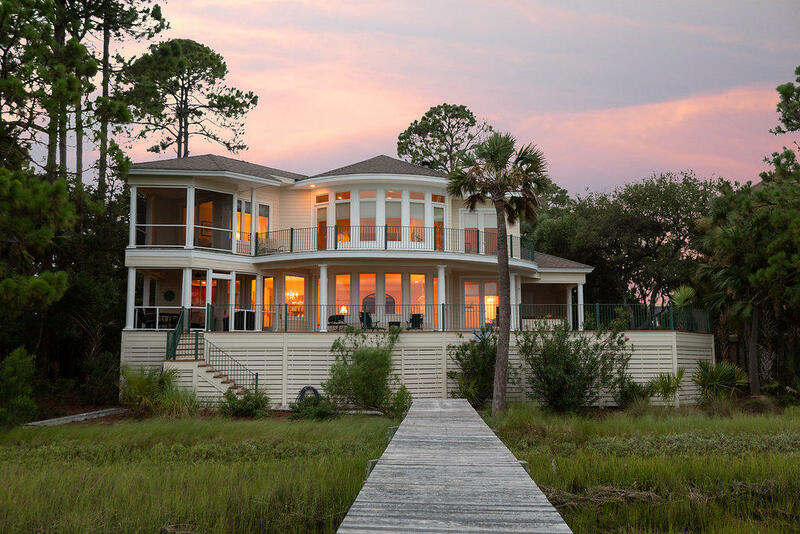 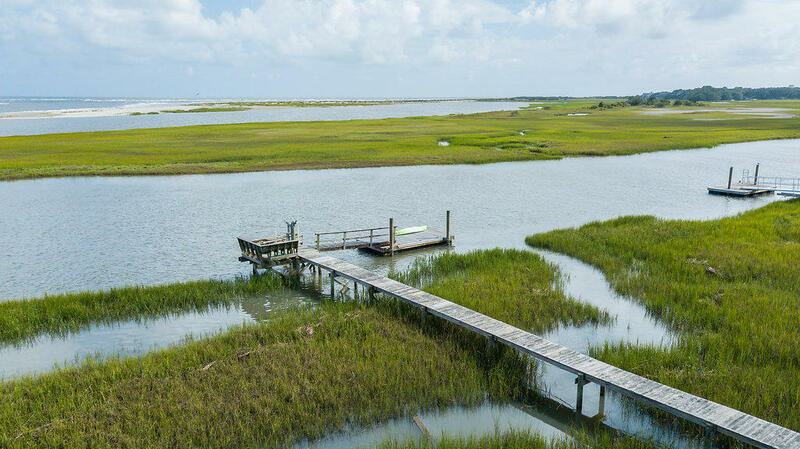 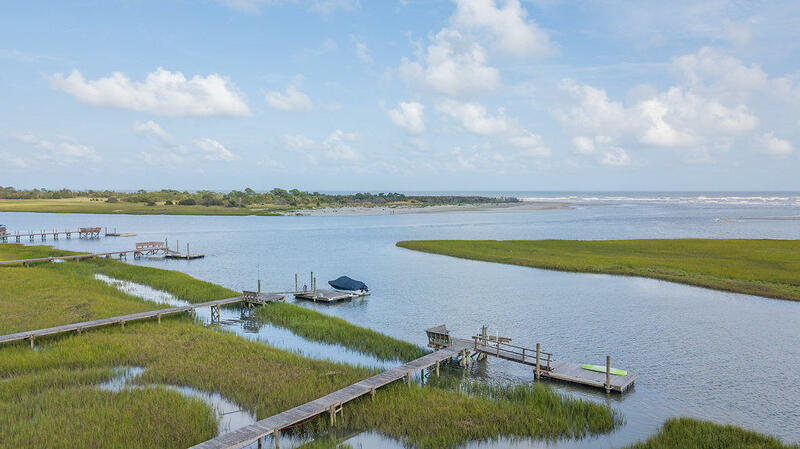 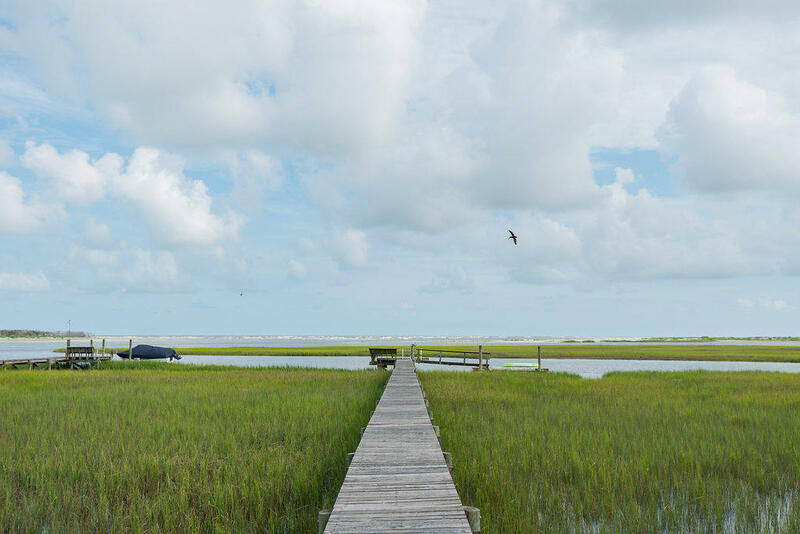 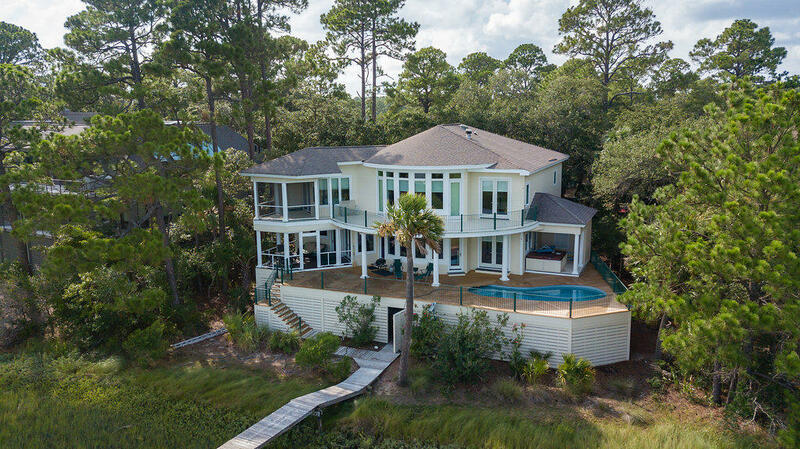 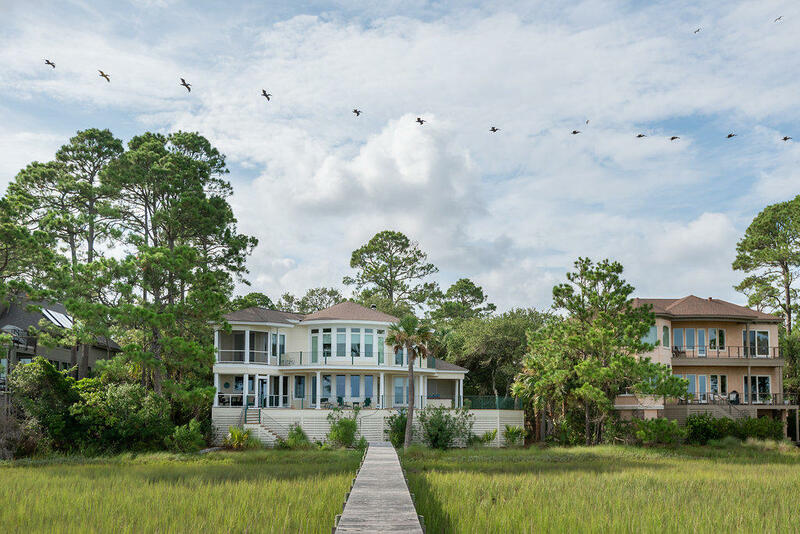 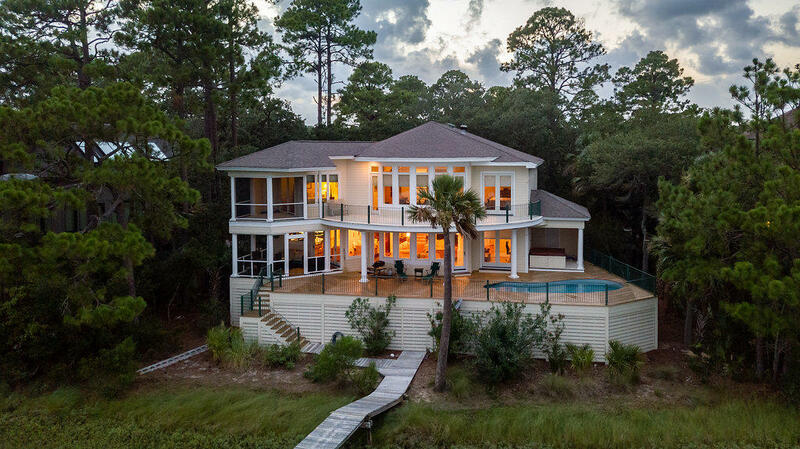 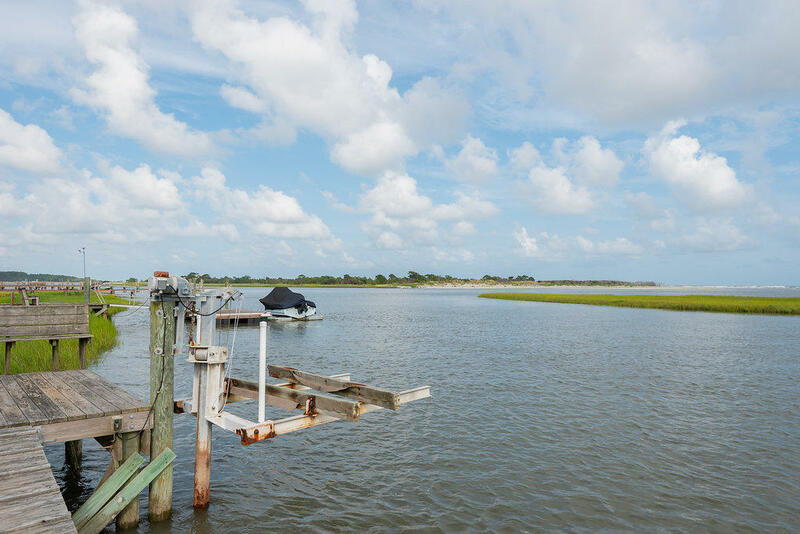 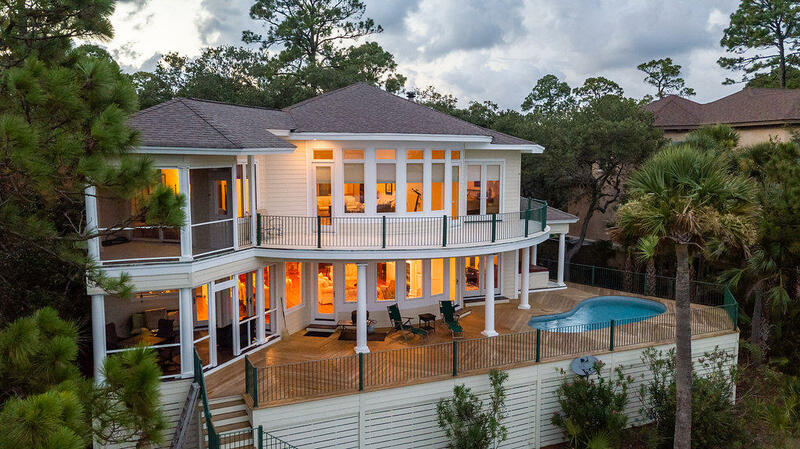 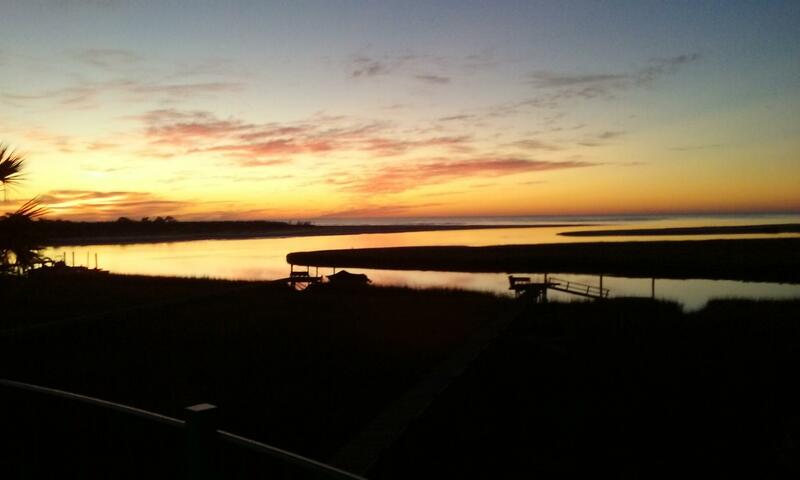 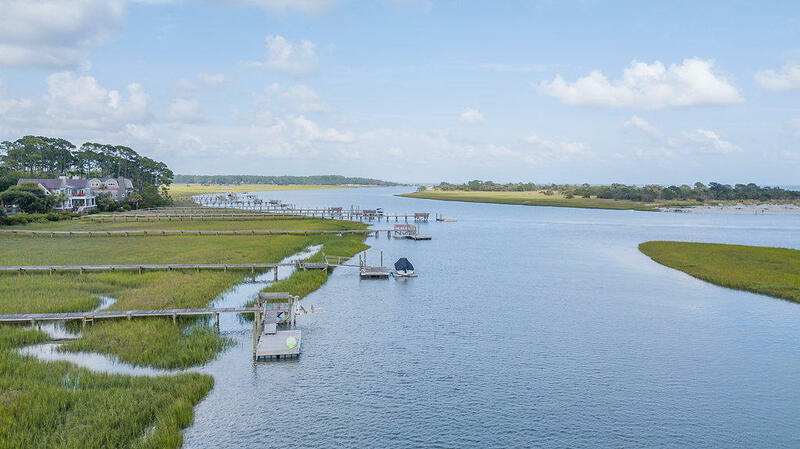 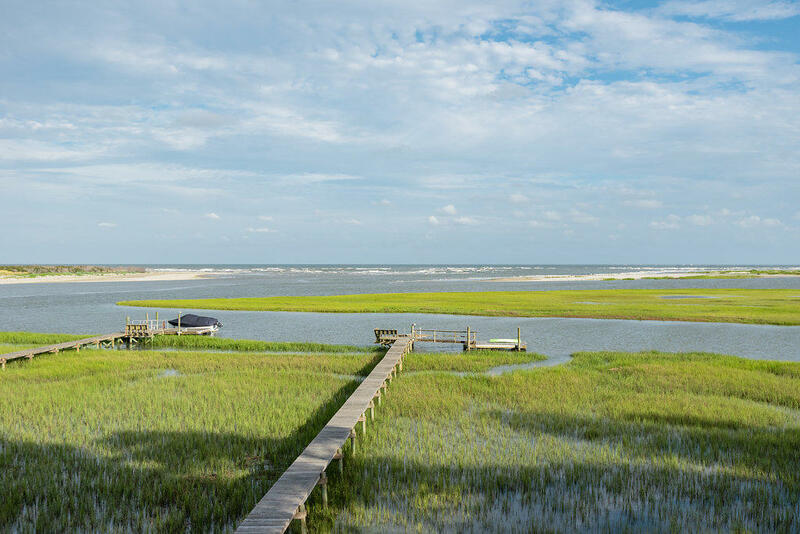 Nowhere else on the East coast can you find wha this home has to offer, breathtaking ocean, river and marsh views with your own private deep water dock. 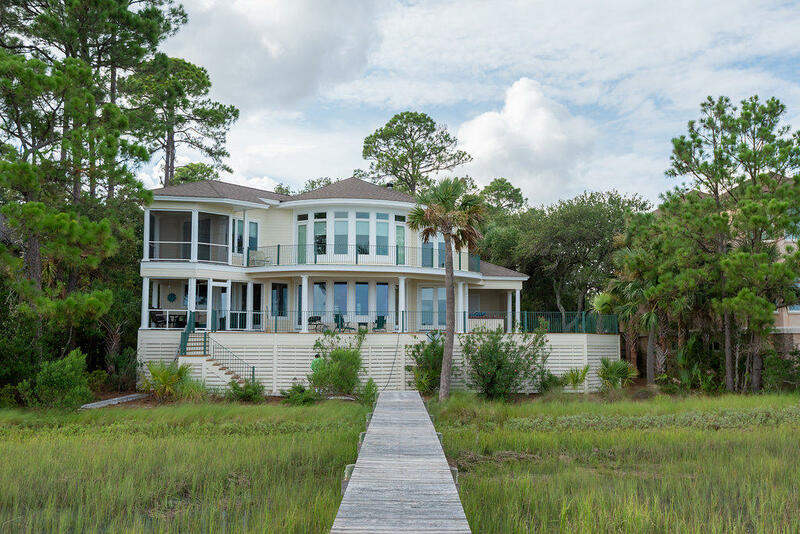 The unique floor plan of this 3,670 square foot four bedroom home provides a waterfront home provides a waterfront view from over 75 per cent of the living space. 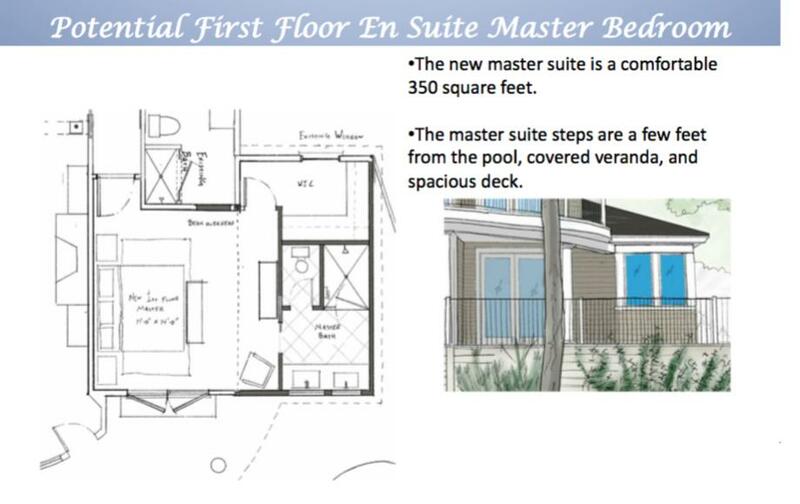 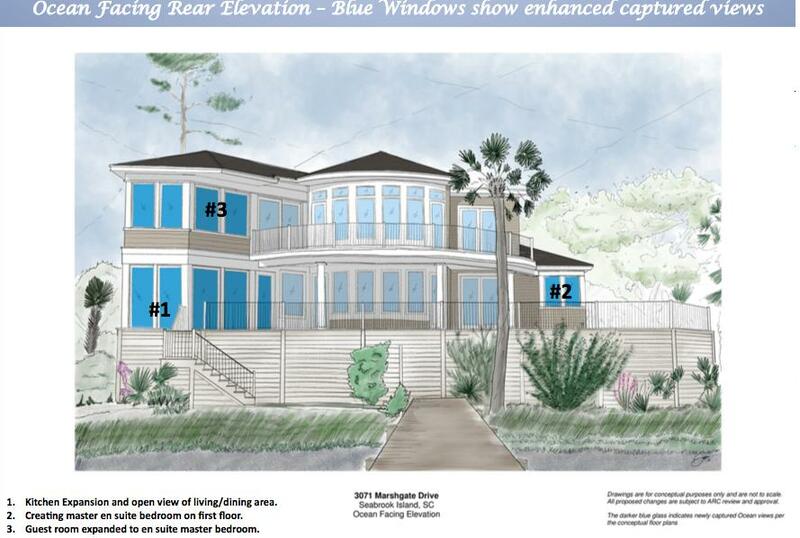 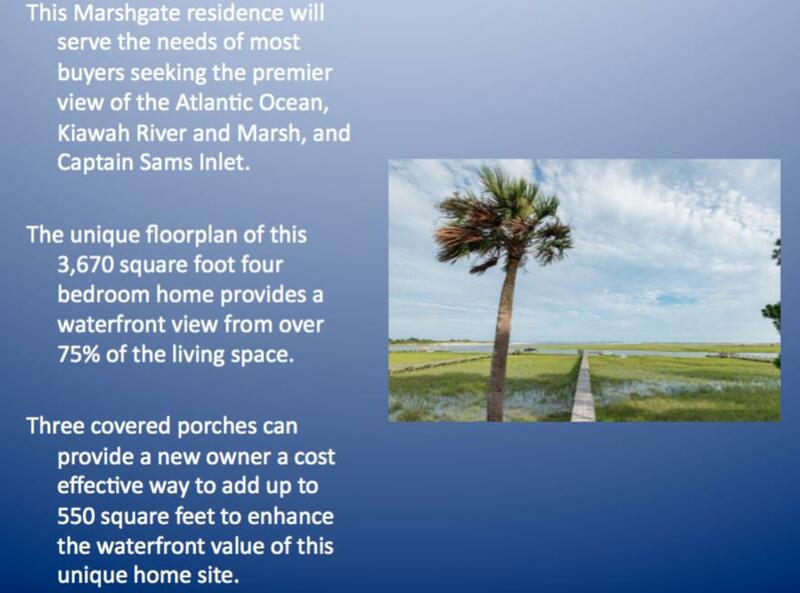 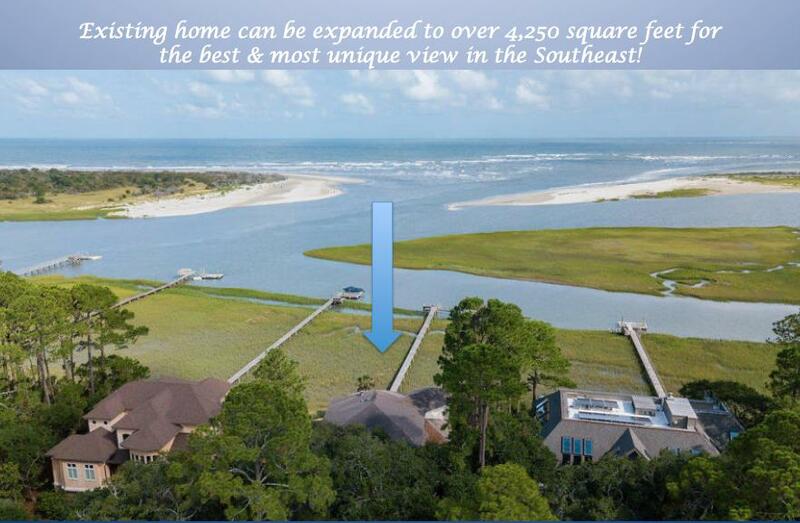 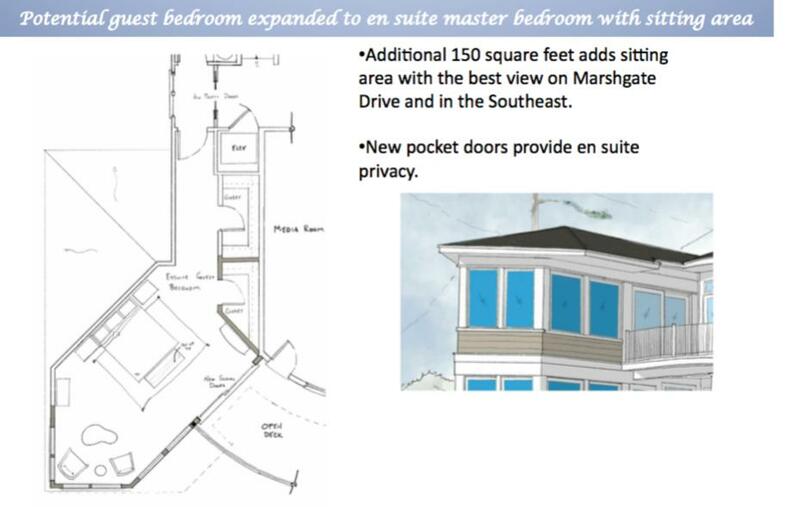 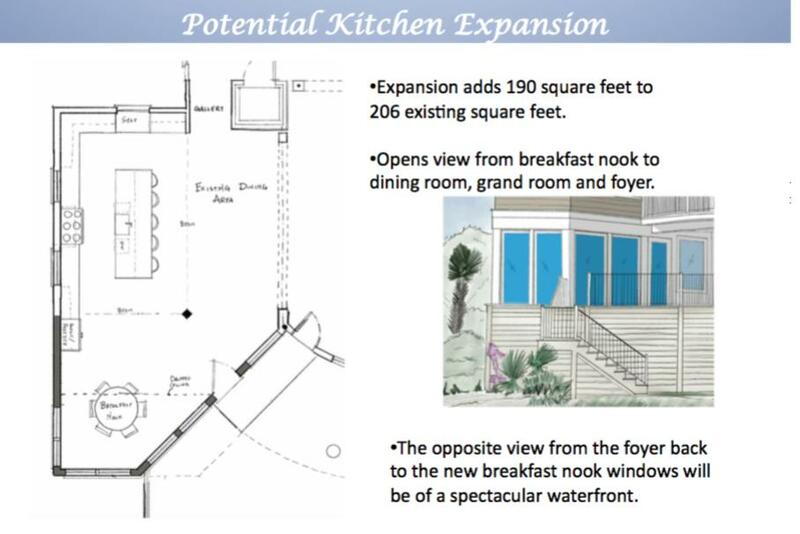 It will fulfill the needs of most buyers needs who want to capture its unique location.Additionally, for buyers needing more space or room options, three covered ocean view porches can be a cost effective way to add up to 550 square feet to enhance the waterfront value of this unique homesite. 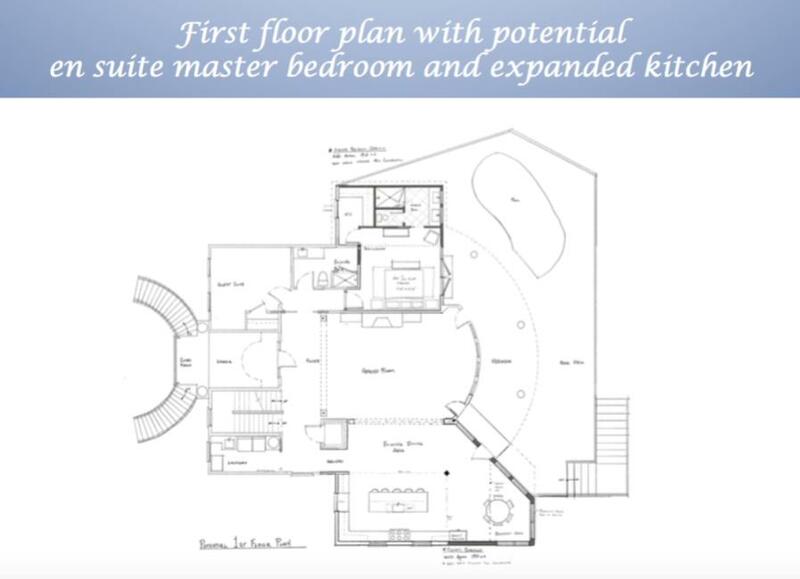 A first floor bedroom can be converted into an en suite master bedroom 350 square feet (architectural design in slide show) The current kitchen can be expanded to almost 400 square to open up the view from the breakfast nook, dining and grand rooms, and foyer (design in slide show). 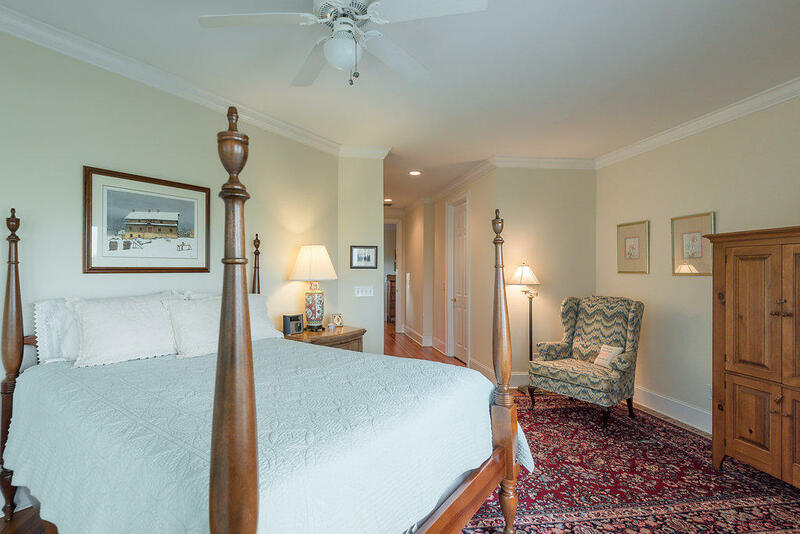 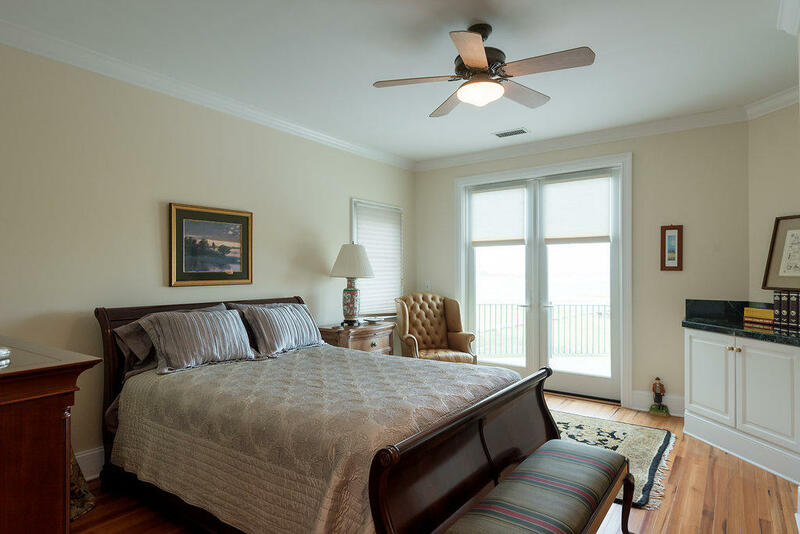 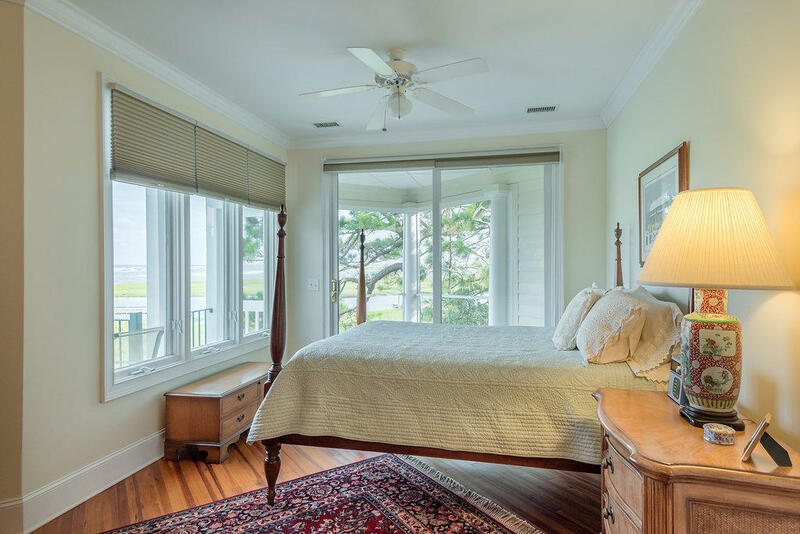 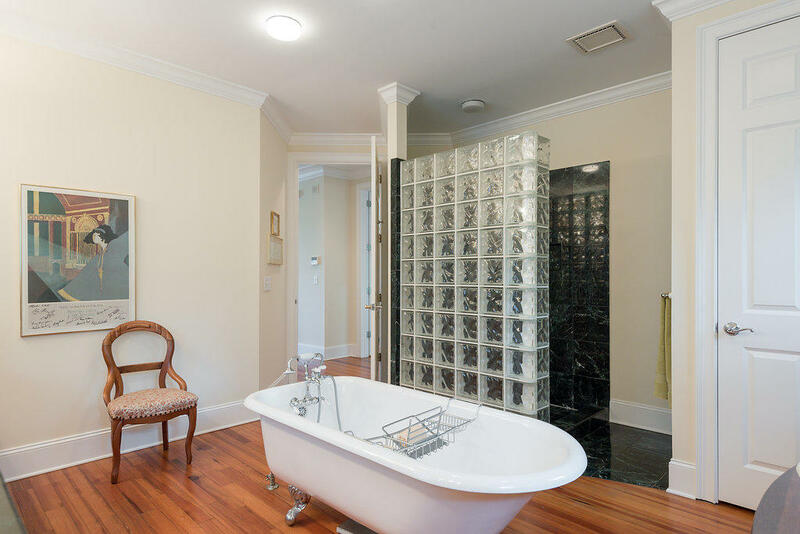 A second floor bedroom can be expanded into en suite master bedroom with a 150 square feet sitting area perched over one of the best views of the Atlantic Ocean, Kiawah River entrance and Captain Sams marsh (design in slide show). 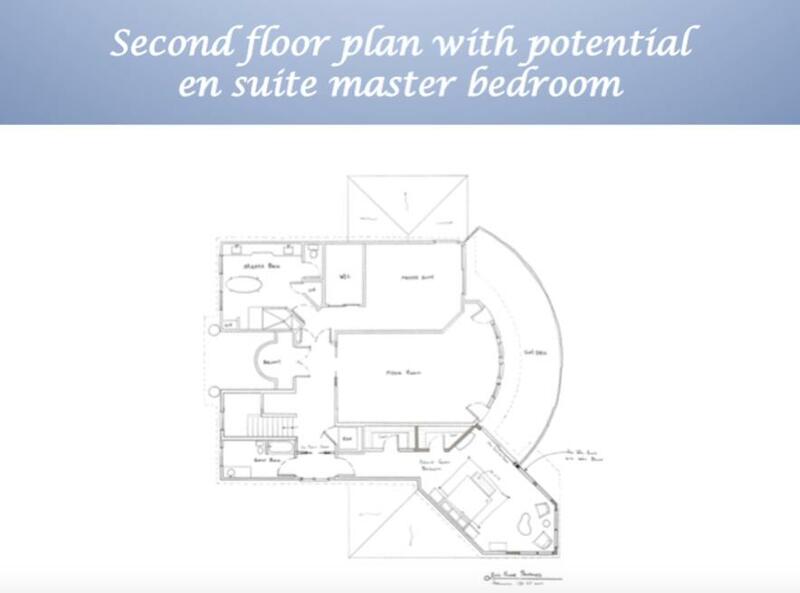 Another special feature of 3071 Marshgate is a 400 square feet media room containing speakers in the ceiling and wiring for surround sound. 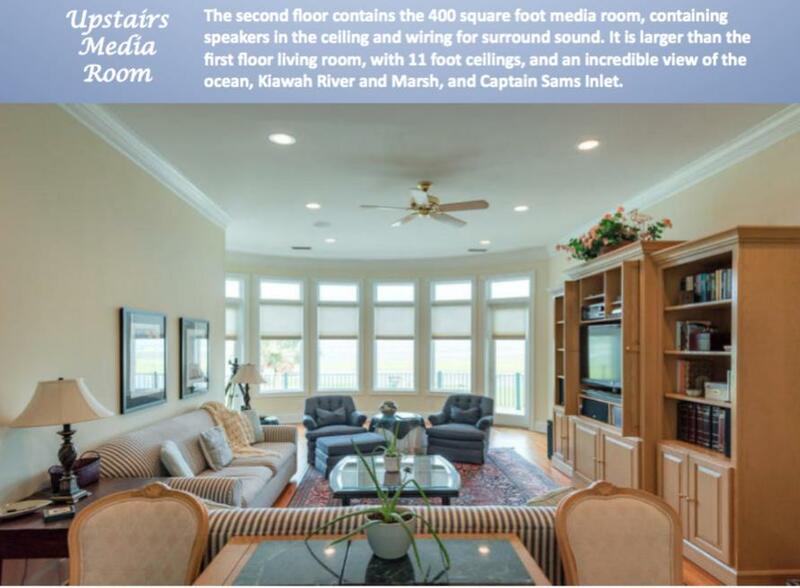 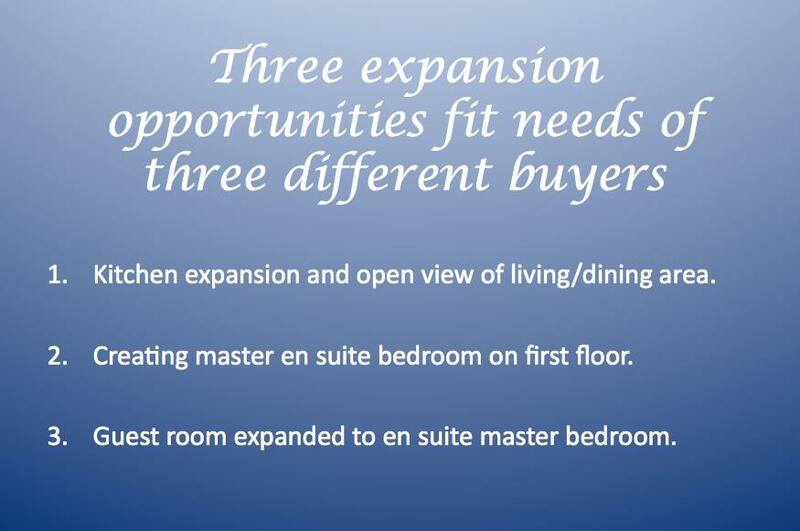 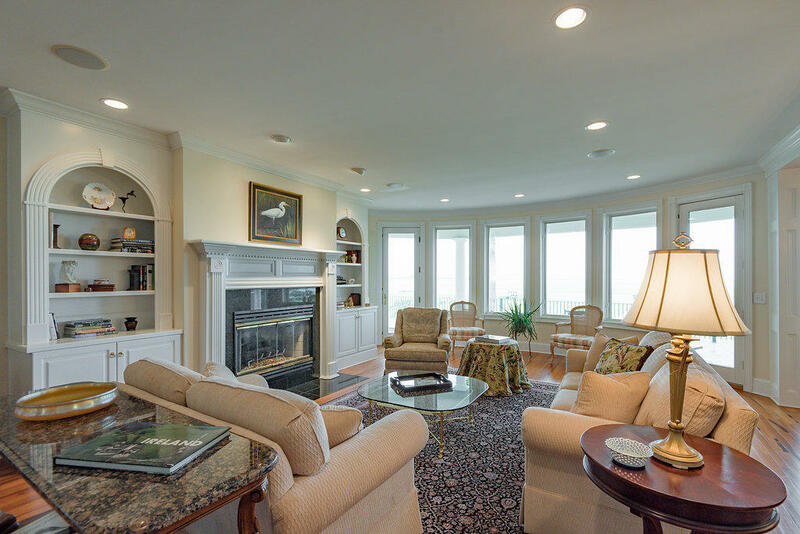 The 11-foot ceiling and tall ocean view windows provide a breathing taking view from the second floor. 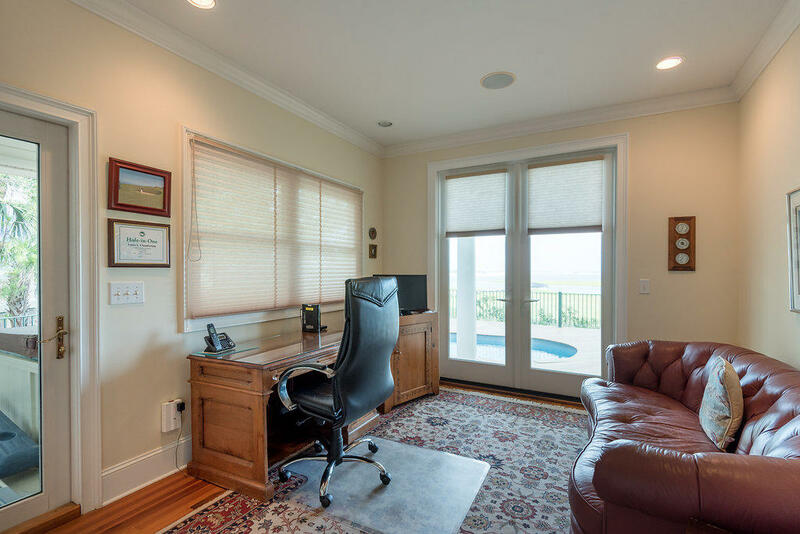 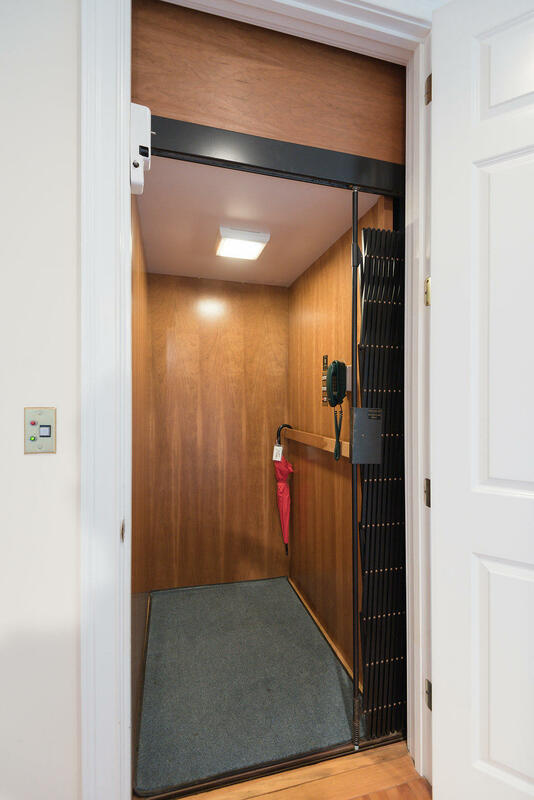 The garage beneath features a workshop and expansive room for storing a boat, bikes, beach and fishing gear. 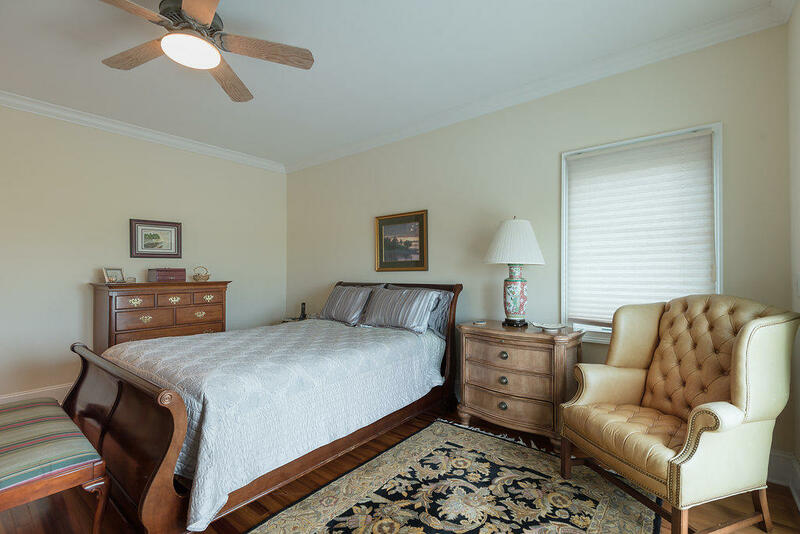 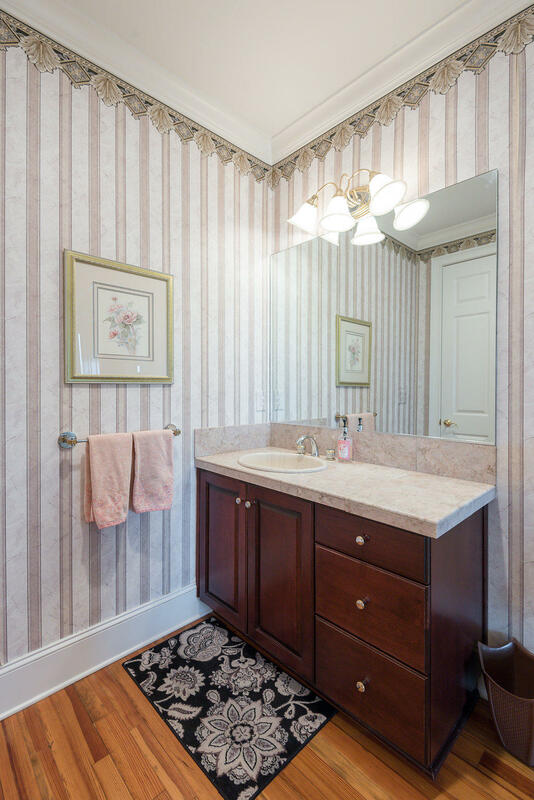 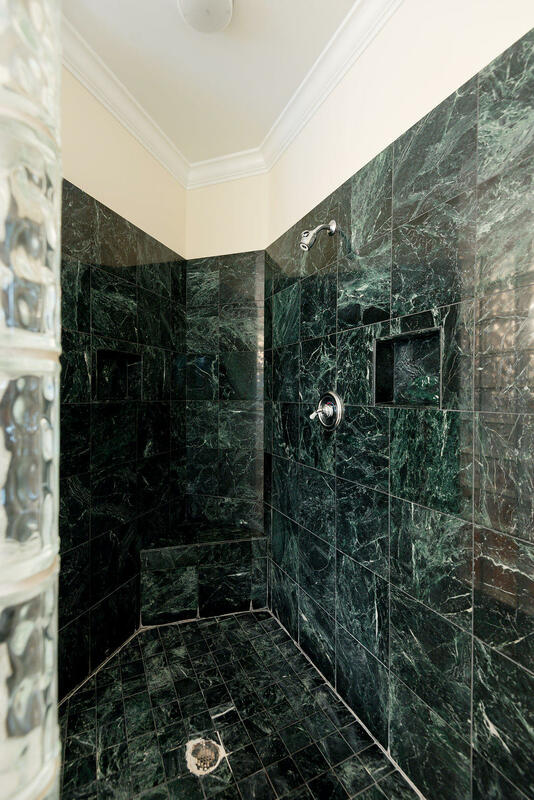 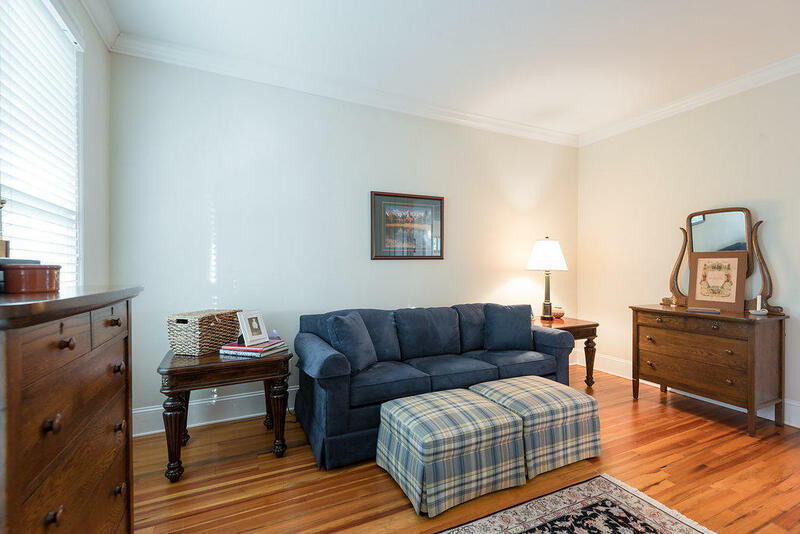 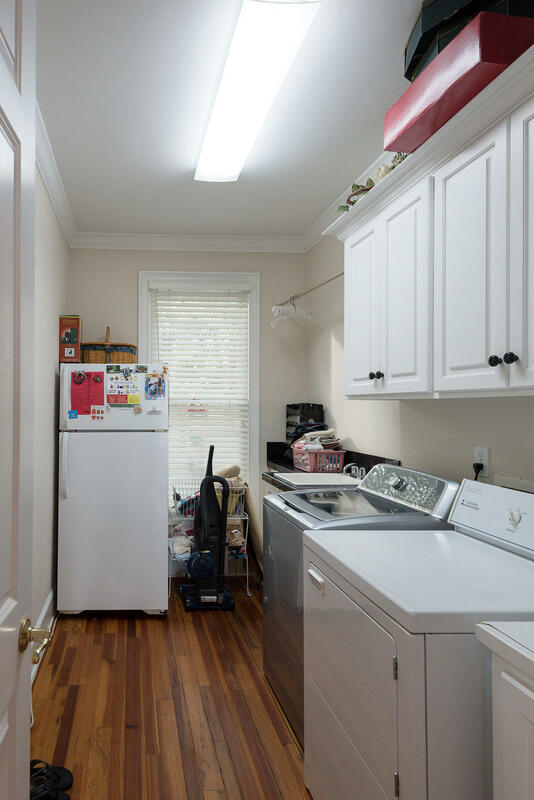 This home is beautifully maintained and is a joy to show. 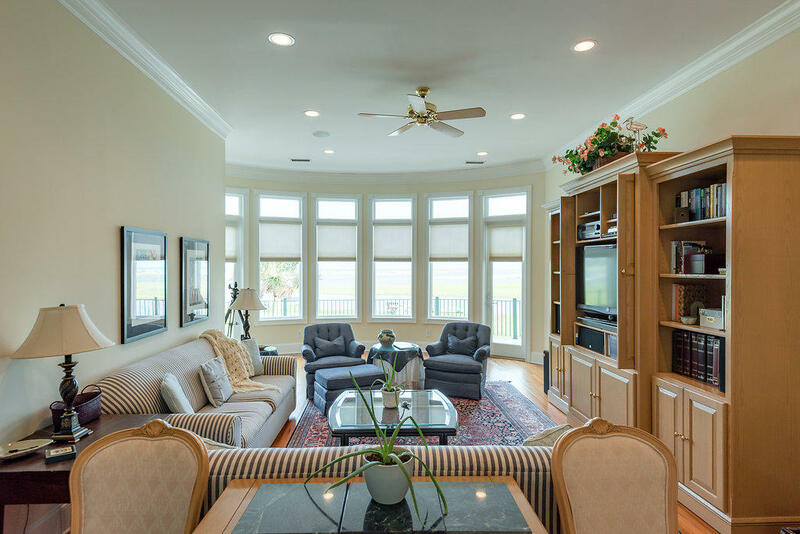 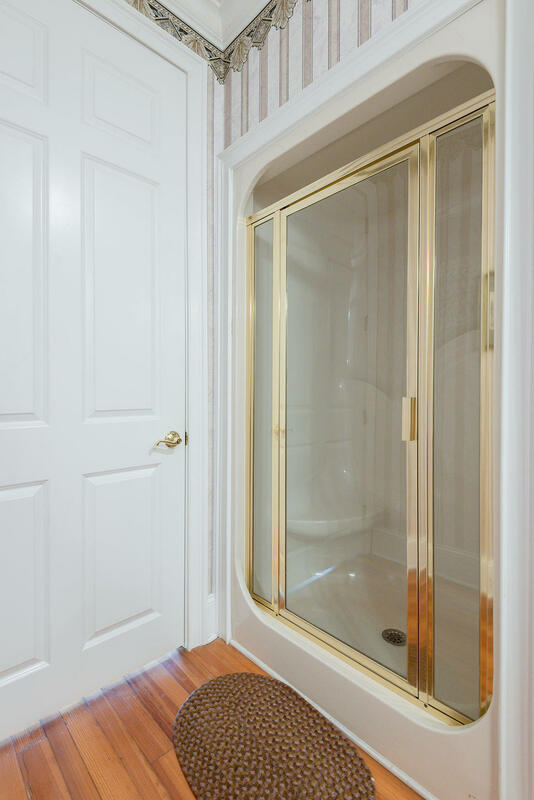 The finishings are accentuated by the well thought out floor plan, which brings the views inside the home from virtually every room.